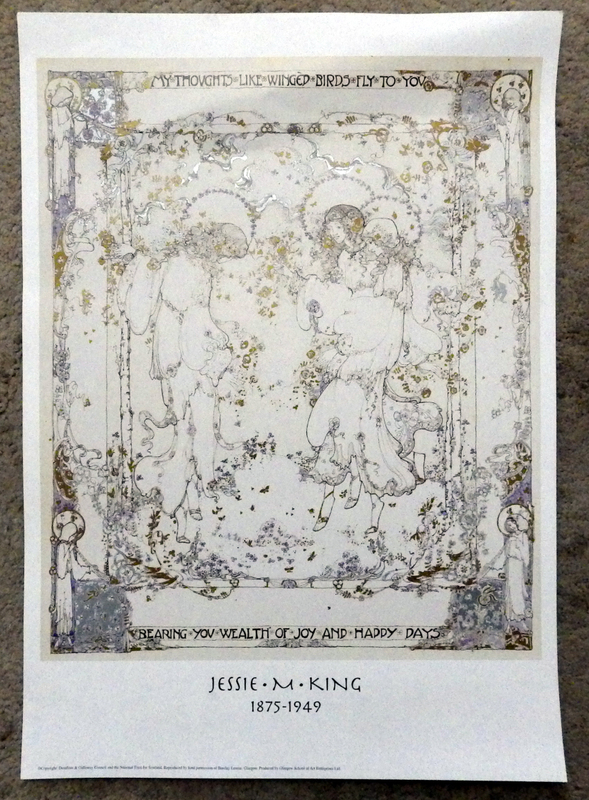 Jessie M King: Poster My Thought Like Winged Birds Fly to You. Dumfries & Galloway Council/Barclay Lennie 1990’s. 42 x 30cms (c.16 x 12 inches). Some light creases. Nicely printed in gold, silver & purple. Category: Miscellaneous. Tag: Jessie M King poster.